Today I’m going to share a recipe with y’all for Crab Salad! 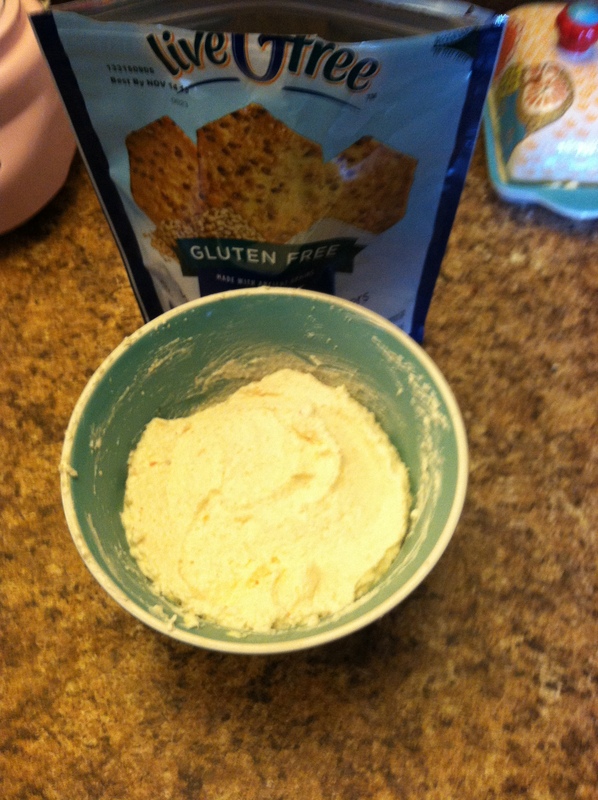 Typically, any recipe with imitation crab is totally off limits because imitation crab regularly has wheat or other glutinous fillers, but there is a company that makes Gluten Free imitation crab which is what I used to make this recipe! 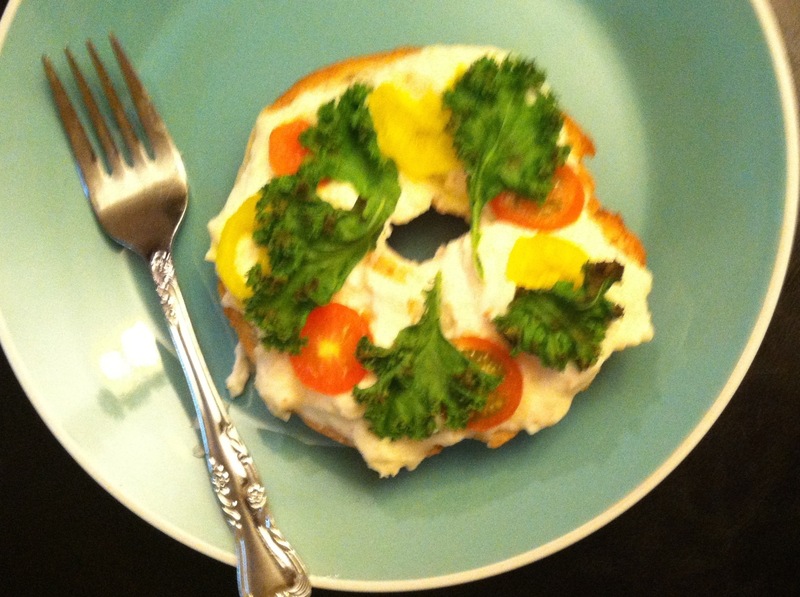 This recipe is perfect for a spread with crackers (I served it with Aldi LiveGfree Crackers) like you see below, or on a sandwich like you see above which is composed of half of an Udi’s Plain Bagel, Crab Dip, 1 Sliced Cherry Tomato, 4 rings of Banana Pepper, and some Kale! Throw everything in your food processor, and pulse until combined. Transfer into a bowl, and chill for about two hours. Serve with crackers, fresh veggies, or use as a spread! As usual, all products mentioned in this post were purchased by me, I’m just sharing them with y’all because I truly like them. Have a Marvelous Monday y’all! !